It's the time of year when I gear up for my favorite season...FALL! I love the crispness in the mornings and the faint exit of the cicadas and I have to say I'm a fan of sweaters with shorts for that in flux seasonal attire. Richmond in the Fall is always a pleasant time even though September can still be a little toasty. This is the best time to start doing some home improvements. Things like repairing the roof, repairing your heating system, planting your Spring bulbs, and getting your carpets/upholstery cleaned. There's something refreshing about putting the bathing suits away and bringing out the hoodies which will accompany you on your pumpkin/apple picking adventures. We will celebrate things like National Beer Lover's Day at the local breweries, but for me, I'll be continuing on with my new tradition of Sober September to prepare me for the following raucous holiday months. It's a good lead in for the coming season. I like to organize closets and files during this time. This is also the best time to do your Swedish Death Cleanings. All those Disney brochures and plastic bracelets you collected at summer concerts, all the clothes that you haven't missed, and all the furniture in storage, either get rid of it or transform it to something useful. Butterflies at Lewis Ginter Botanical Gardens, walks in Hollywood Cemetery, and visiting the Metro Zoo are some of my favorite September Richmond jaunts, but I look forward to picking out my pumpkins at Gallmeyer Farms Fall Festival! I also like to start choosing my hibernation books and podcasts to listen to over the next few months. September is for straightening, organizing, preparing, and repairing. Who wants a dead furnace when the temperature starts to drops or maybe there's a leaky roof in need of mending. Get to it! Change is a comin'...embrace it! 1. 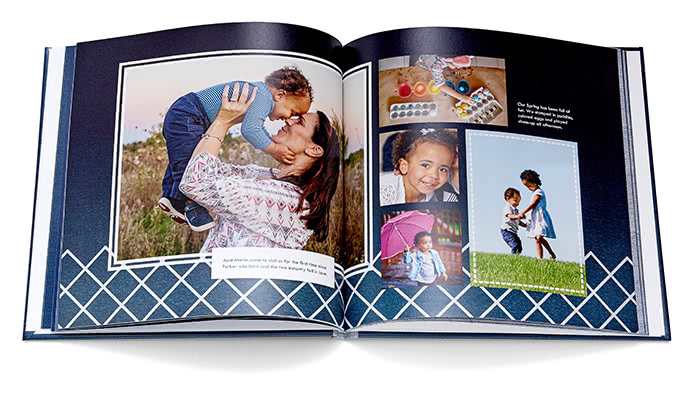 Organize Photos: Even though we've gotten so used to the digital age of photo keepsaking, why not take the time to take all those summer photos and put them into a nice book by Shutterfly or Google Books. They are great for upcoming holiday gifts or a nice way to share with family and friends while over for the holidays. 2. Plant: You can start planting your Daffodils, Chrysanthemums, Sweet Peas, Tulips and Cornflowers right now! If you are gardening, get that asparagus, garlic and onions. 3. Out with the Old: We all get new clothes and such for the holidays, maybe we treat ourselves to some new coats or sweaters. Why not get rid of your old ones and give to those who will need it when the weather gets frigid? Look into homeless shelters and churches to make sure they are going to those in need. 4. Start making: September is a great month to start getting those Fall decorations up. Check out our Pinterest page for some ideas! 5. Maintain your home: Take advantage of the cooler weather, give the old vinyl siding a good cleaning. Repaint the porch. Paint the front door a new color. Take care of leaky faucets. Get the chimney swept, clean and ready for those cold winter nights. Start collecting firewood, you don't want to be searching far and wide to find so many places sold out of it!